INVOICE COCKPIT automatically matches information on your invoices against purchase orders and master data in SAP. For example, it can check tax number, bank details, company name and even line items. If the invoice matches the purchase order, it is automatically posted into SAP. Any discrepancies are detected and presented to the user. After invoices are automatically verified, all your accounting tasks are a mere click away. You can post invoices for payment, view purchase orders, jump to the vendor data and more, all with a single click of the mouse. If there are any errors on the invoice, or if there is no purchase order available (as with general expense invoices), the invoice is passed on to the electronic workflow WEB CYCLE. INVOICE COCKPIT works inside your familiar SAP environment using your existing configurations and set-ups. Your staff doesn’t have to learn a new system or make adjustments to your SAP system. You are an SAP user who wants to automate your invoice processing. You will get faster and more economical invoice handling using fewer resources. Accurate payments means better relations with suppliers. This enables you to negotiate better discounts. Easy handling of invoices that don’t match purchase orders. 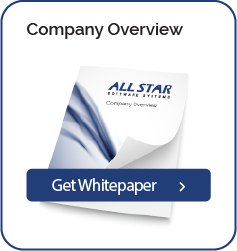 Staff can spend more time improving AP processes rather than manually verifying invoices. Automated transfer of invoice data into SAP. Fields in your SAP system are automatically populated with data from the invoice. Automated posting of consistent invoices. All data from the invoice is presented together with a digital image of the document. All accounting actions are a mere click away. A “Repetitor” function can automatically check the invoice for changes since it was last accessed and post it if all inconsistencies have disappeared. Provides reports on your invoice flow and user actions. Can be easily customized to fit your specific needs and document workflows. Uses your existing SAP configurations and requires no modification of SAP standards. INVOICE COCKPIT is a part of ReadSoft’s invoice processing solution for SAP which works seamlessly inside SAP.